Now in general, I mistrust labels, particularly when it comes to medicine. And our practice is a lot of things. It’s challenging to apply one label to what it is we do. And different aspects of the practice may be the specific thing that a patient really wants or needs more than the others. We are a cash, non-insurance based practice. We are a private (that is, not owned by a hospital or medical group) practice. We are an individualized medicine practice. We tailor our therapies to our specific patients. We don’t believe in the one-size-fits-all approach for anything we’re treating, be it weight, thyroid disease, depression, or menopause, etc. We are a weight management practice. We are board certified (there aren’t many of those here, though there should be) bariatric, that is, medical weight management practice. And as such, we are more than willing, and well equipped to help patients with weight problems. We ENJOY it! Nothing in medicine for me has been as rewarding as taking someone bothered by his or her weight and helping them get in control and meet weight goals. 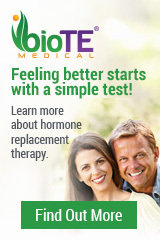 We are a bio-identical hormone management practice. Meaning we believe that if you can measure something in the body, that level belongs somewhere. It may be different if you’re age 10 versus 70, different morning to night, or if you’re male or female, but it belongs somewhere. We also believe that “normal” range on lab tests doesn’t necessarily mean functional or optimal range. And we believe that if we make levels of body substances more optimal using the actual things that belong in the body when possible, instead of drugs, it’s likely to function better. We are a functional medicine practice. That term is poorly understood as well. To some, functional medicine means anything except dysfunctional medicine. To us it means working on the root causes of the disease rather than just treating symptoms, understanding that the goal is to improve function, and that every person is different in his or her working and make-up. If I had to give one name to describe what we are about, I would call it “Improvement Medicine.” What I mean is, I believe that nothing is static, that we are all changing all the time. And that the goal for patients shouldn’t be some image of perfect health (there’s really no such thing.) Pardon the negative sounding message, but we are all dying daily. The lease on this body is temporary. The goal for health should be in my mind, to be so healthy that you don’t have to think about it, but everyone is on a different place on that path. And wherever you are, if you are getting more healthy, that’s a great goal! If a physician has one image of what health looks like and one set of tools and parameters to use he or she will have a limited number of people that their plan will fit well. We believe in utilizing the full range of tools available and tailoring our plan to where that person is on the health continuum, so that if you’re really sick, we can help, or if you’re generally pretty healthy, we can help you improve as well. If a patient is really sick with, say, Crohn’s Disease, yes we might ideally like to treat with all natural means, but maybe it’s appropriate to start with a heavier, more standard medical immune system modifying therapies and THEN move to more natural, less invasive tools as health improves. And I believe that the wise physician puts all of these tools in his or her pocket to help patients and inform patients as honestly and accurately as possible so they can decide what is right for them. If this sounds like it fits with the way you think, give us a call!